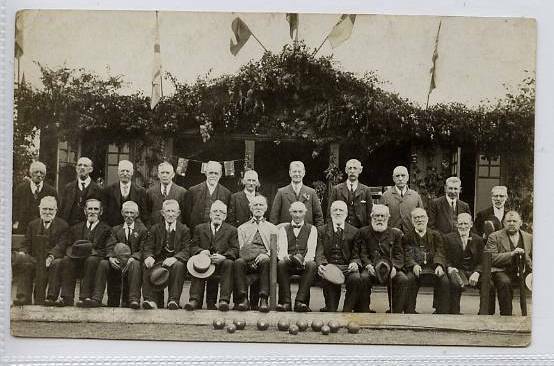 Bowls Team, believed Pudsey, Bramley or Farsley area. Location ? Looks like an event, opening ceremony maybe. 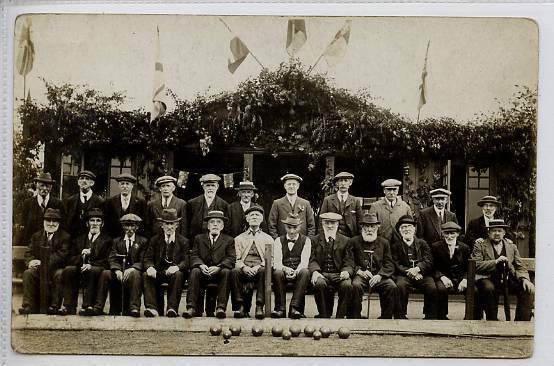 Same Bowls Team, believed Pudsey, Bramley or Farsley area. Location ? Looks like an event, opening ceremony maybe. 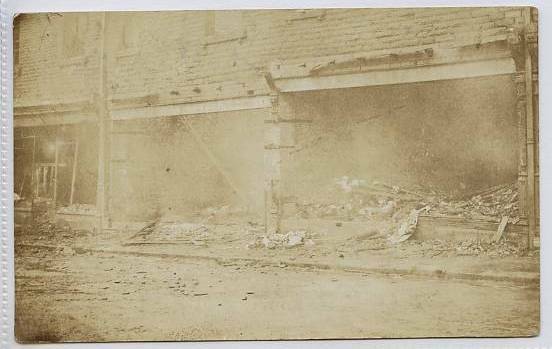 Bombed, Burnt or Demolition of Shops, believed Pudsey, Bramley or Farsley area. Location ? 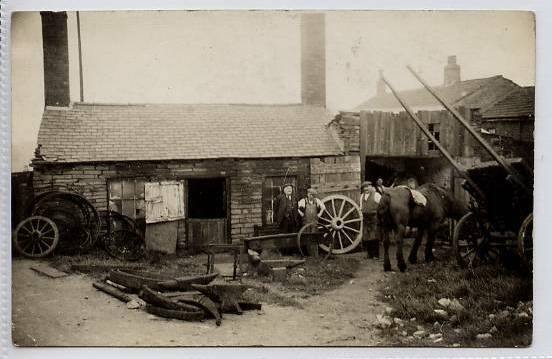 Blacksmiths Shop, believed Pudsey or Farsley area. Location ? Very distinctive Chimneys. 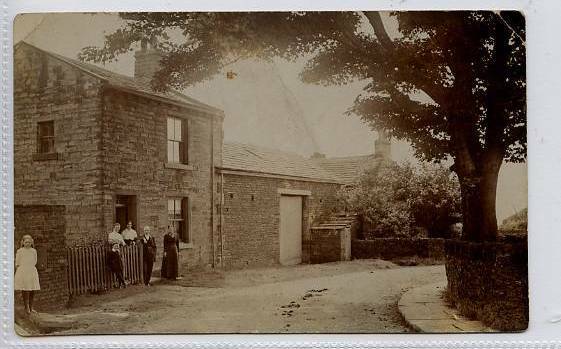 "the blacksmiths shop, with the tall chimneys could that of James Smith when he was at Greenside Pudsey, close to the Kings Arms, before moving to Chapeltown Pudsey." 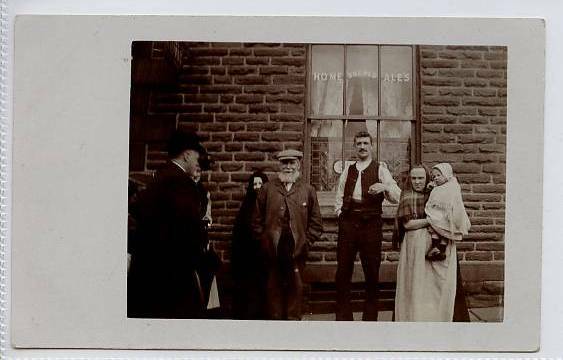 Public House, believed Pudsey, Bramley or Farsley area. Location ? 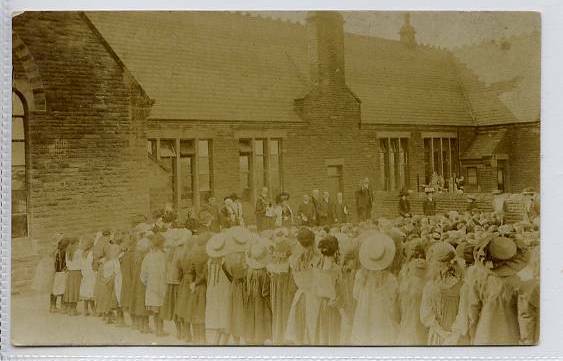 School, believed Pudsey, Bramley or Farsley area. Location ? 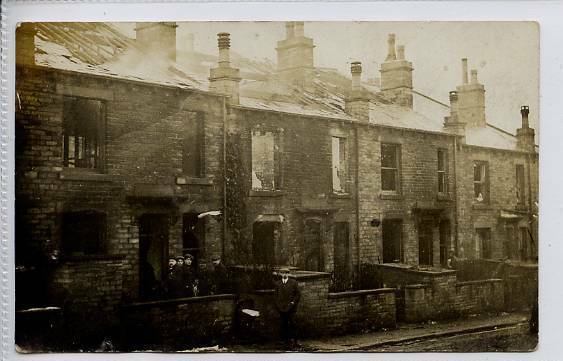 Bombed, Burnt or Demolition Houses, believed Pudsey, Bramley or Farsley area. Location ? 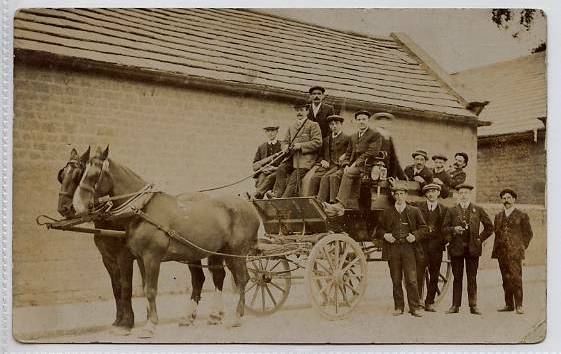 Horse and Carriage, photo by J.Long & Son, 51 Kingston Road, Portsmouth. Pencilled on back Fishing Trip, front row, Fred Peacock & Irwin Lang (Pudsey Boys) ? Believed Pudsey, Bramley, Farsley Area, distinctive farm on a bend. 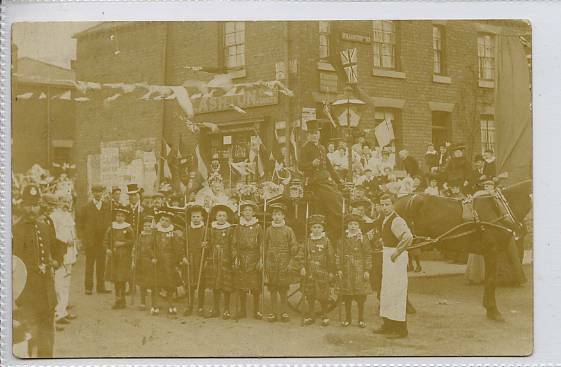 May Queen in Horse and Carriage, children dressed as beefeaters, the sign says Willow Terrace, shop is E.Ashton, Family Grocer, Provision Dealer. 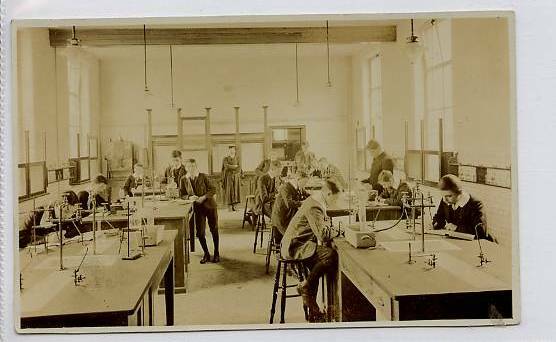 School Chemistry Laboratory, believed Pudsey, Bramley or Farsley Area. 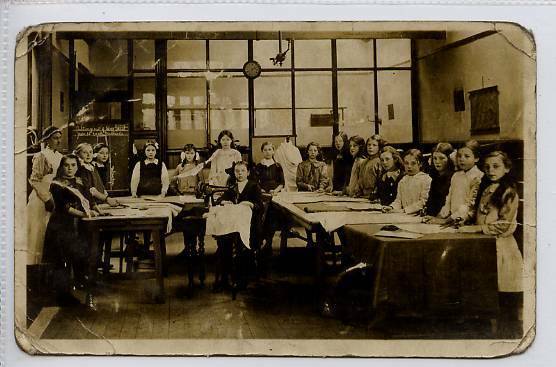 School Needlework Class, believed Pudsey, Bramley or Farsley Area. 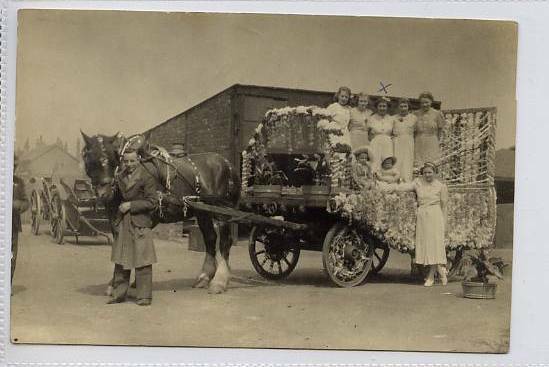 Rose Queen Carriage, believed Pudsey, Bramley, or Farsley Area. 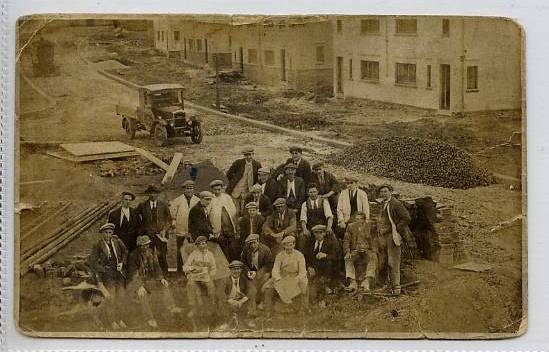 Building Site, believed Pudsey, Bramley or Farsley Area. Someone has suggested Waterloo Council Houses ? 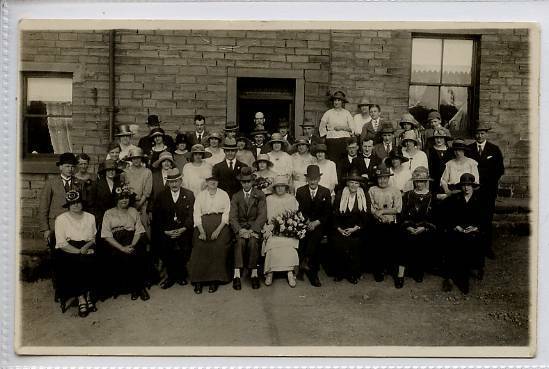 Wedding Party, believed Pudsey, Bramley or Farsley Area. 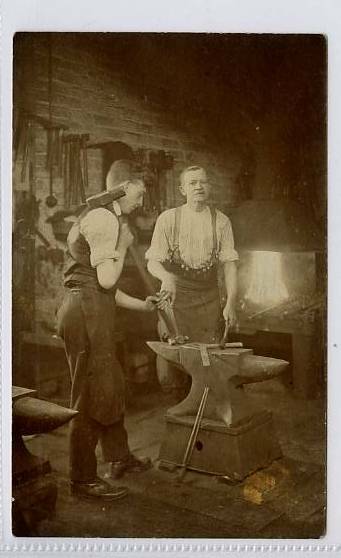 "I am almost certain, especially by the uncanny ressemblence of the younger man, that this photo is of Sam Marsden and his son William, blacksmiths Chapeltown Pudsey taken around 1911. 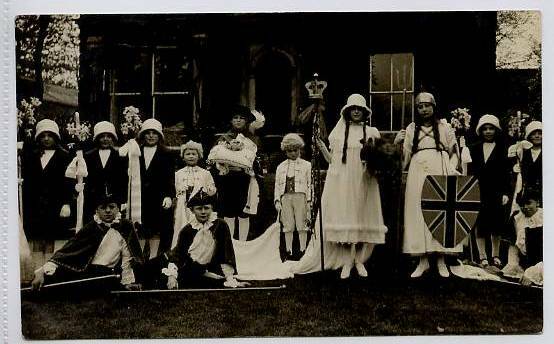 May Queen Miss Ivy Drake 1926 with Britannia, believed Pudsey, Bramley or Farsley Area. Back says Maids Coats Red. 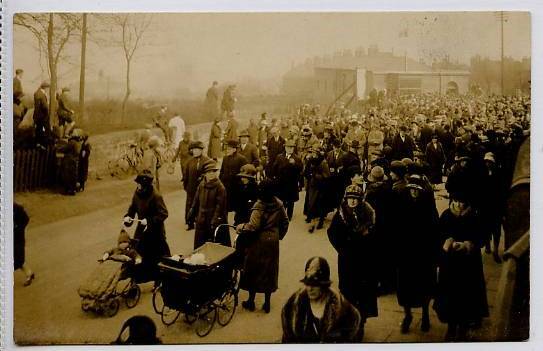 Some form of Procession or March, believed Pudsey, Bramley or Farsley Area.